The StateraArts Resource Directory is Here! Last February when StateraArts met for our team retreat, we dreamed up a new way to serve our community. We wanted to build a resource directory - a one-stop-resource-shop for women* in the arts. And more importantly, we wanted our resource directory to be FREE. Total accessibility. 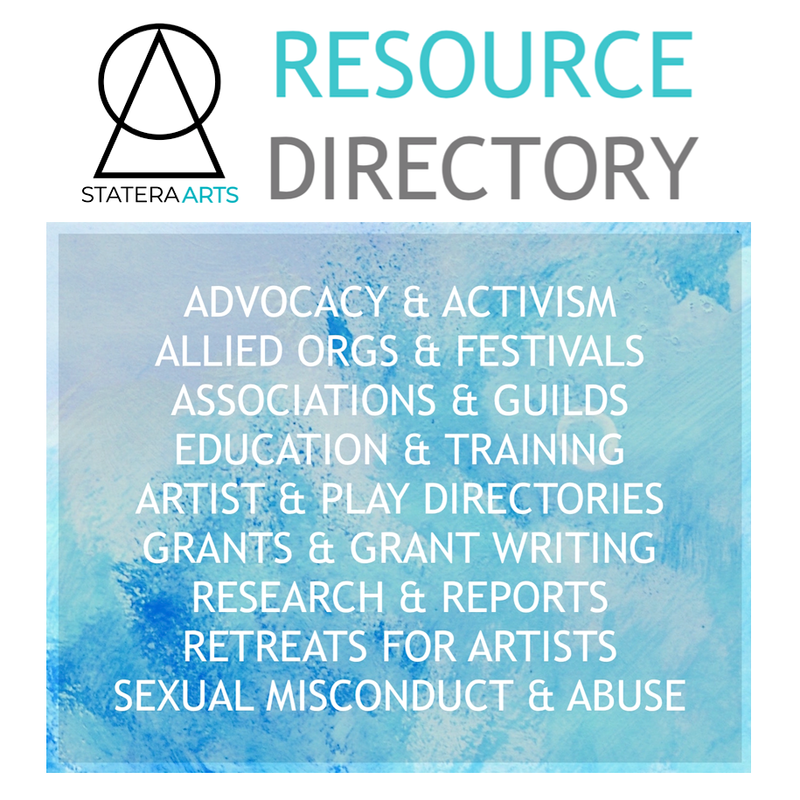 We're so excited to announce the StateraArts Resource Directory, now available on our website! StateraArts is committed to updating and maintaining this directory for your use. Please share it with your friends, colleagues, students, and organizations. We promise to keep it FREE TO ALL. This directory is a work in progress, so if you would like to suggest resources to add to this list, please contact us at info@stateraarts.org. Thank you so much!